The season is coming down to the time where wins really matter. There are many teams this year that have a shot at making the playoffs and the New York Yankees are still one of them. The Yankees headed over to Safeco Field to take on Robinson Cano and the Seattle Mariners. Seattle, like many American League teams, are in striking distance for one of the two Wild Card spots. In fact, they were closer than the Yankees. Each game counts and in this case we have a three game series. Michael Pineda was on the bump for the Yankees to start off, and despite really settling down as of late after a really bad start to the season, he wasn’t impressive in this one. The Yankees offense gave him the help he needed, more specifically Gary Sanchez and Starlin Castro. On homeruns from each of them, the Yankees opened up a two run lead early on. Unfortunately, Mariners’ Kyle Seager was given the green light at the right time, taking a 3-0 fastball right down the middle into center field for a three run home run. There seemed to be a sense of deja vu luckily, as once again Gary Sanchez, as well as Starlin Castro homered once again to give the Yankees now a 5-3 lead. However, when I mean deja vu I mean deja vu. Literally, the half inning after the Yankees took the lead, Mike Zunino ends up taking one into the seats, and of course it was a three run shot. Pineda’s final statline included five runs given up on seven hits. The Mariners ended up victorious in this one by a score of 7-5. The Yankees didn’t having pitching on their side the night before but, this time it was different. C.C. Sabathia was on the mound this time around, and he looked good all night long. The only real issue Sabathia had was a Ketel Marte RBI single in third, but besides that C.C. was dealing. He finished the day striking out seven and only allowing one to come across on three hits. All in all, if the opposing team just has four hits the entire game, you most likely got the job done. As for the hitting, Gary Sanchez sadly did not homer in this one, but with the help of a two run dinger from Jacoby Ellsbury, the Yankees took the lead and were able to come out of this one with a 5-1 win. An important rubber match featured former Nippon League teammates Hisashi Iwakuma and Masahiro Tanaka. It was exciting early on as after not homering the night before, Gary Sanchez decides to let one out early hitting his 9th home run in just 19 games played this year. On the other side, Masahiro Tanaka was doing work. He threw for seven scoreless frames, striking out five and proving to many that he really is the Yankees ace. More runs kept piling on for the Yankees, as a few RBI singles and sacrifice flies gave Tanaka a well needed cushion. Highlights however, came when Gary Sanchez was intentionally walked not once, but twice. Yes, this kid is so dangerous he is being shown respect already. Everything went well for the Yankees in this one, and that’s why they won with the score 5-0. 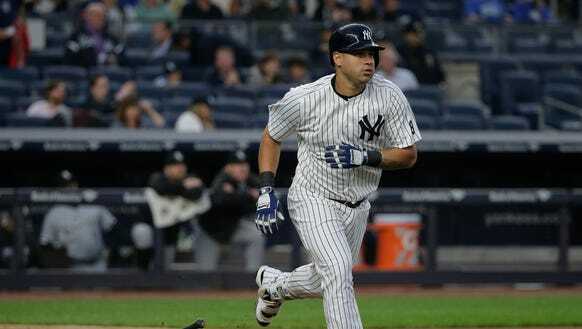 Travelling back home, the Yankees faced off against the Baltimore Orioles. The Orioles, who were once in first place in the AL East, currently find themselves with the second Wild Card spot in the American League. Once again, every series is important especially against division rivals. The Yankees showed why their nickname was the Bombers for the first game, as O’s starting pitcher Yovani Gallardo shouldn’t have even bothered coming to the stadium. He got pulled in just the second inning after allowing eight runs, mostly on a bunch of singles with runners in scoring position. That wasn’t all though, Vance Worley came in and allowed four runs all on two run shots from Chase Headley and you guessed it, again Gary Sanchez. The Yankees even scored two more off of Mike Wright giving them an 11 run lead. The Yankees were obviously victors in this one winning 14-4. It was a joy to see, as game two was similar to game one. Up against former top prospect Dylan Bundy, the Yankees put up five runs in the first four innings most notably Didi Gregorius stealing home on a throw to second, and yes it’s him again Gary Sanchez. Sanchez took one deep into right for his 11th homer of this season; this makes the young catcher the fastest to 11 home runs ever. He would eventually be credited AL Player of the Week for the second week in a row, being the first rookie to do so. Back to the game, the Orioles did have some life in this one, with the help of Chris Davis they found themselves within one. However, thoughts of a comeback was instantly erased, as the Yankees scored seven runs in the next two innings blowing the game wide open. The team ended up with 18 hits which was exactly the same amount achieved the night before. The Yankees came out victorious winning 13-5. Going for the sweep, C.C. Sabathia went up against Kevin Gausman. C.C., off of his solid outing, was brought in a little sooner than expected starting in place of Michael Pineda. In this one, C.C. was alright to open out, giving up nothing in the first five innings. Former Yankee Steve Pearce changed all that, with a dinger to left. The next inning, an RBI single gave Pearce three runs driven in on the day. Mark Trumbo also went yard hitting his 40th home run of the season, being the first this year to do so. With Yankees’ pitching struggling towards the late innings, Kevin Gausman was dealing. He finished with no runs given up through seven, striking out nine. The Orioles avoid the sweep winning 5-0. The Yankees will head into September with matchups against the Kansas City Royals as well as the Baltimore Orioles once again. Like the Yankees, both teams are in the mix for the playoffs. This is certainly a great time for the Yankees to potentially make some ground. Each series will last for three games, held on the road.